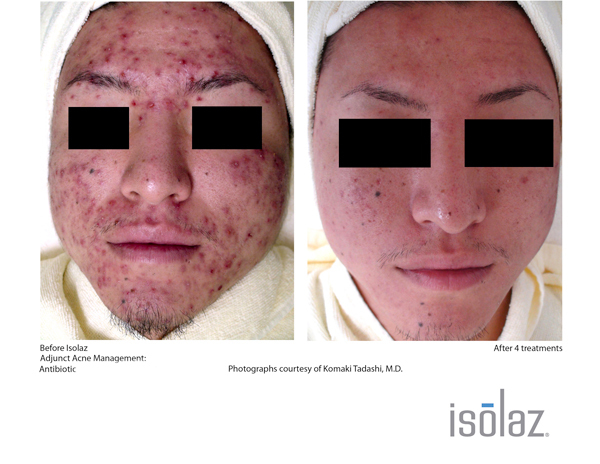 Isolaz treatment based on Photopneumatics™ (Photo = Light, Pneumatics = vacuum), a proprietary technology available only with Isolaz treatments. 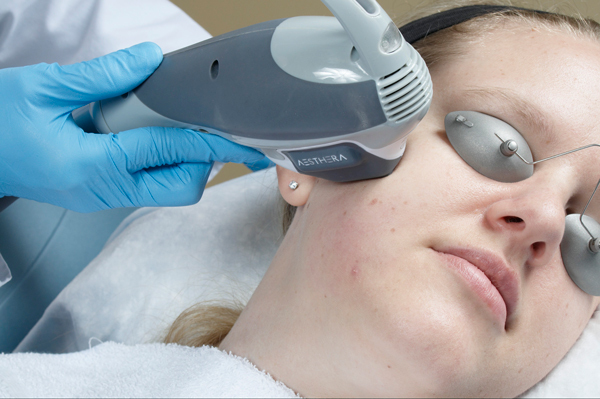 This procedure is a quick, easy and painless way to deep cleanse and purify your pores from the inside out. The two-part component: 1. Vacuum: helps loosen and extract dirt, blackheads and excess oil from deep within your pores; and 2. Painless broadband light: helps destroy acne causing bacteria, as well as reducing facial redness.